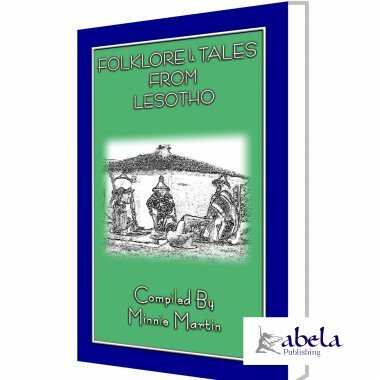 Within this little volume you will find 10 unique folk tales and childrens stories from the African mountain Kingdom of Lesotho. Here you will find the story of Takane, who, despite having an arranged marriage, became a happy and devoted wife. The tale of how Khosi chooses Polomahache (Crocodile Child) to be his wife and of Mokete and Morongoe the Snake and many more. Included in these tales are stories of the Sun Chief, evil Witchdoctors, or Ngaka, the equivalent of an Evil Wizard, spells being cast and broken and beautiful maidens being set free. There are also tales of malevolent chiefs who rule their people with a fist of iron, not caring how much innocent blood they shed and how their comeuppance is delivered by the hero of the day. 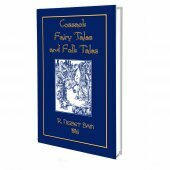 These tales were collected by Minnie Martin, wife of a Government Official, who came to South Africa and Basutoland, from England, in 1891. 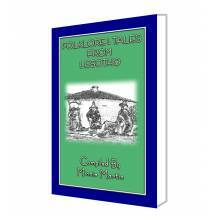 To enable a better understanding of the people and their customs, she began to study the language, collected these tales and became fairly fluent in the language. Because the Bantu peoples of Southern Africa had no written language, it must be noted that the first people to record the various languages (the Boers and the British) did so phonetically, writing the language as they heard it being spoken. Unlike most European languages, there has been no influence of Latin, Greek or Arabic, which makes the learning of those languages that little more difficult. Here you speak the word the way it is written e.g. Ngaka is read as In-gaa-kah, Takane as Tak-aan-eh, Khosi as Koh-see etc. 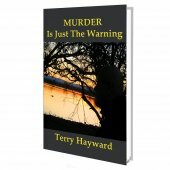 So sit back and enjoy this unique collection of tales, customs and lore from a little known place, unseen or heard in the West for many generations. Mokete was a chief's daughter, but she was also beautiful beyond all the daughters of her father's house, and Morongoe the brave and Tau the lion both desired to possess her, but Tau found not favour in the eyes of her parents, neither desired she to be his wife, whereas Morongoe was rich and the son of a great chief, and upon him was Mokete bestowed in marriage. But Tau swore by all the evil spirits that their happiness should not long continue, and he called to his aid the old witch doctor, whose power was greater than the tongue of man could tell; and one day Morongoe walked down to the water and was seen no more. Mokete wept and mourned for her brave young husband, to whom she had been wedded but ten short moons, but Tau rejoiced greatly. When two more moons had waned, a son was born to Mokete, to whom she gave the name of Tsietse (sadness). The child grew and throve, and the years passed by, but brought no news of Morongoe. One day, when Tsietse was nearly seven years old, he cried unto his mother, saying, "Mother, how is it that I have never seen my father? My companions see and know their fathers, and love them, but I alone know not the face of my father, I alone have not a father's protecting love." "My son," replied his mother, "a father you have never known, for the evil spirits carried him from amongst us before ever you were born." She then related to him all that had happened. From that day Tsietse played no more with the other boys, but wandered about from one pool of water to another, asking the frogs to tell him of his father. Now the custom of the Basuto, when any one falls into the water and is not found, is to drive cattle into the place where the person is supposed to have fallen, as they will bring him out. Many cattle had been driven into the different pools of water near Morongoe's village, but as they had failed to bring his father, Tsietse knew it was not much use looking near home.  Accordingly, one day he went to a large pond a long distance off, and there he asked the frogs to help him in his search. One old frog hopped close to the child, and said, "You will find your father, my son, when you have walked to the edge of the world and taken a leap into the waters beneath; but he is no longer as you are, nor does he know of your existence." This, at last, was the information Tsietse had longed for, now he could begin his search in real earnest. For many days he walked on, and ever on. At length, one day, just as the sun was setting, he saw before him a large sea of water of many beautiful colours. Stepping into it, he began to ask the same question; but at every word he uttered, the sea rose up, until at length it covered his head, and he began falling, falling through the deep sea. Suddenly he found himself upon dry ground, and upon looking round he saw flocks and herds, flowers and fruit, on every side. At first he was too much astonished to speak, but after a little while he went up to one of the herd boys and asked him if he had ever seen his (Tsietse's) father. The herd boy told him many strangers visited that place, and he had better see the chief, who would be able to answer his question. When Tsietse had told his story to the chief, the old man knew at once that the great snake which dwelt in their midst must be the child's father; so, bidding the boy remain and rest, he went off to consult with the snake as to how they should tell Tsietse the truth without frightening him; but as they talked, Tsietse ran up to them, and, seeing the snake, at once embraced it, for he knew it was his father. Then there was great joy in the heart of Morongoe, for he knew that by his son's aid he should be able to overcome his enemy, and return at length to his wife and home. So he told Tsietse how Tau had persuaded the old witch doctor to turn him into a snake, and banish him to this world below the earth. Soon afterwards Tsietse returned to his home, but he was no longer a child, but a noble youth, with a brave, straight look that made the wicked afraid. Very gently he told his mother all that had happened to him, and how eager his father was to return to his home. Mokete consulted an old doctor who lived in the mountain alone, and who told her she must get Tsietse to bring his father to the village in the brightness of the day-time, but that he must be so surrounded by his followers from the land beyond that none of his own people would be able to see him. Quickly the news spread through the village that Morongoe had been found by his son and was returning to his people. At length Tsietse was seen approaching with a great crowd of followers, while behind them came all the cattle which had been driven into the pools to seek Morongoe. As they approached Mokete's house the door opened and the old doctor stood upon the threshold. Making a sign to command silence, he said:"My children, many years ago your chief received a grievous wrong at the hand of his enemy, and was turned into a snake, but by the love and faithfulness of his son he is restored to you this day, and the wiles of his enemy are made of no account. Cover, then, your eyes, my children, lest the Evil Eye afflict you." He then bade the snake, which was in the centre of the crowd, enter the hut, upon which he shut the door, and set fire to the hut. The people, when they saw the flames, cried out in horror, but the old doctor bade them be still, for that no harm would come to their chief, but rather a great good. When everything was completely burnt, the doctor took from the middle of the ruins a large burnt ball; this he threw into the pool near by, and lo! from the water up rose Morongoe, clad in a kaross, the beauty of which was beyond all words, and carrying in his hand a stick of shining black, like none seen on this earth before, in beauty, or colour, or shape. Thus was the spell broken through the devotion of a true son, and peace and happiness restored, not only to Mokete's heart, but to the whole village.